The Salem State College Vikings started a new season in 1986 and The NCAA News described returning right-hander Scott Kimball recording one of the best ERAs in the region the previous year. Kimball turned in 7-1 record for the Vikings, along with his 1.90 ERA the previous year. Kimball went on to earn All-American honors for Salem State and make the school's Hall of Fame. He turned pro in 1989. His pro career lasted two seasons. He made it up to single-A Beloit, but didn't make it higher. 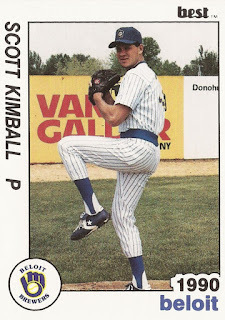 Kimball's career began in 1989, signed by the Brewers as an undrafted free agent. The team selected Kimball two years earlier in the 10th round, but he didn't sign. At Salem State, Kimball made All-American in 1987. He went 21-7 over his career, losing his entire senior year to arm troubles. He struck out 204 over 178 innings. He amassed 13 complete games, according to the school, including a no-hitter. He made the school's Hall of Fame in 1996. With the Brewers, he started at rookie Helena. He got into 11 games, starting four. He went 1-3, with a 3.89 ERA. 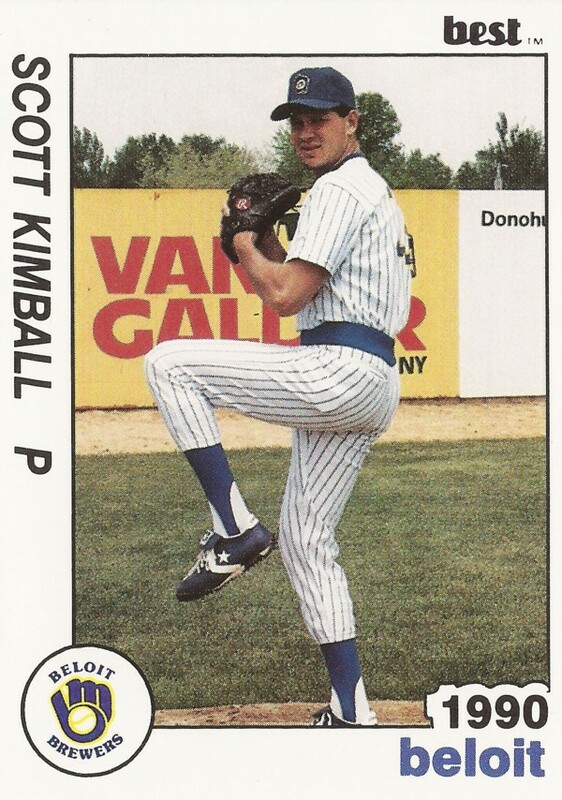 Kimball moved to single-A Beloit for 1990. He went 5-8 that year, with a 2.88 ERA. That year marked his final as a pro.